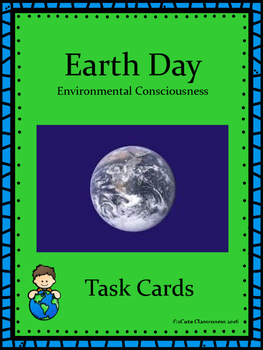 Earth Day is on the way. 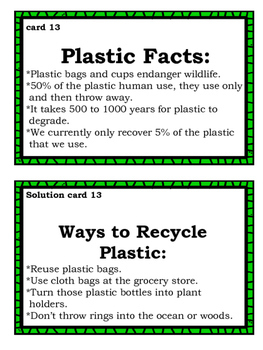 Teach your students about recycling and protecting the earth. 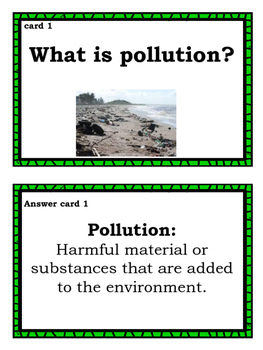 The following task cards are fun and simple way to help your students identify ways they can make a difference. 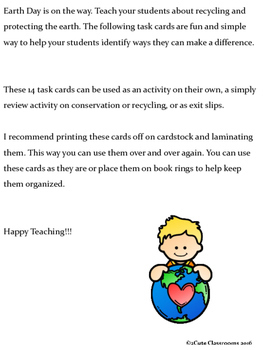 These 14 task cards can be used as an activity on their own, a simply review activity on conservation or recycling, or as exit slips. I recommend printing these cards off on cardstock and laminating them. This way you can use them over and over again. You can use these cards as they are or place them on book rings to help keep them organized.